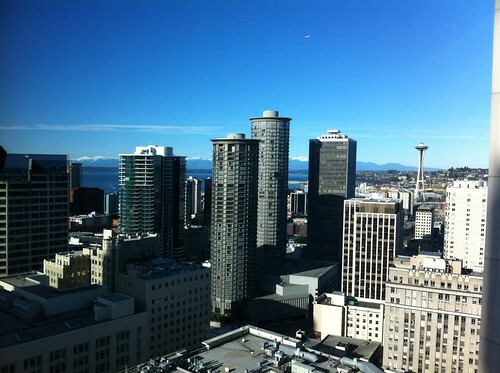 Hello Seattle! The weekend is in full swing and the weather is beautiful! There are festivals, concerts, free Washington parks, and more these next two days. Here is a big list of Seattle Saturday and Sunday events, upcoming June events, and ticket giveaways! The 7th annual Georgetown Carnival is this Saturday in one of Seattle’s liveliest neighborhoods! There are three stages of live music, 15 bands, two beer gardens, acrobats, tall bikes, stilt-walkers, power tool races, burlesque performances, and much more. The weather looks like a perfect 75 and sunny and it is all free to attend. Hello Seattle! It’s rainy now, but looks like sun for most of Memorial Day weekend. As always, we have a great list of Seattle events including festivals, parties, music, theater, film, as well as upcoming June events. Also, over $350 in ticket giveaways. Every year, Ballard explodes in a colorful parade and festival, as Norweigians celebrate Syttende Mai – their Constitution Day (signaling their independence from those no good Swedes!). Join more than 20,000 spectators as 100+ groups, including marching bands, drill teams & classic cars parade by. It’s the largest 17th of May celebration outside of Norway! The longest running festival of its kind in the nations, The University District StreetFair starts Saturday and continues through Sunday. The event features only products hand-made by individual artists and craftsmen in the USA. There will be more than 300 food and craft booths to enjoy along with two stages packed with entertainment.